PEARL WHITE!!! 4 BRAND NEW TIRES!!! DUAL FACTORY DVD PLAYERS!!! TOW PKG!!! SUNROOF!!! POWER RUNNING BOARDS!!! LUGGAGE RACK!!! REAR BUCKET SEATS!!! HEATED STEERING WHEEL!!! FRONT AND REAR HEATED LEATHER SEATS!!! REMOTE START!!! BLUETOOTH!!! AUX INPUT!!! GORGEOUS!!! STUNNING ONE OWNER LOCAL TRADE IN!!!!!! WOW!!! CERTIFIED PRE-OWNED WITH WARRANTY!!! BLUETOOTH!!! HANDSFREE CALLING!!! BACK UP CAM!!! AUX INPUT!!! SUPER CLEAN!!! CarFax has Certified a CLEAN TITLE NO ACCIDENTS!!! 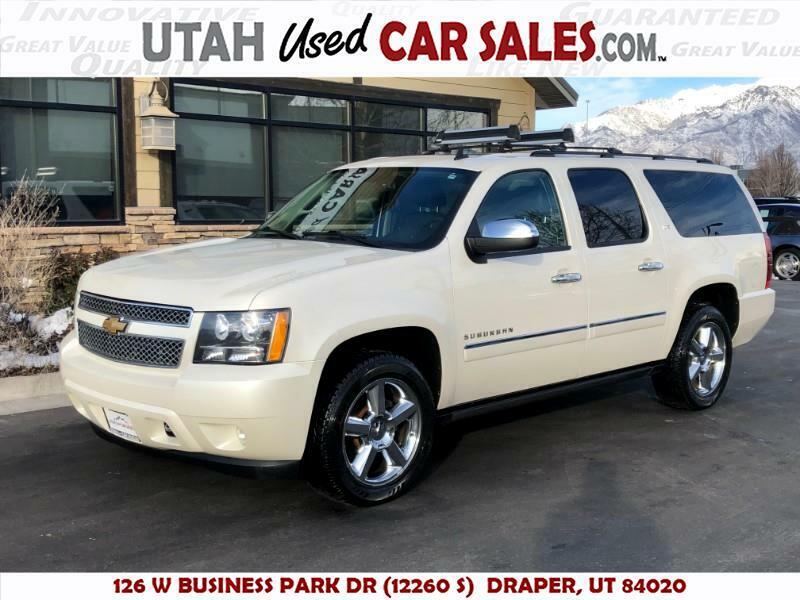 STUNNINGLY BEAUTIFUL 2014 Chevrolet Suburban LTZ 4x4 DVD!!! SERIOUSLY LOOKS LIKE NEW INSIDE AND OUT!!! Drives like a dream! Just buy and drive!! !